Please RSVP for this event by filling in the form. Cost: R100 per couple. Dinner & dessert included in this evening. The annual Zoo Lake Carols by Candlelight is a highlight in the calendar for the whole family! This year we are excited to have WWW Movementadding their unique sound and energy to the evening’s lineup. 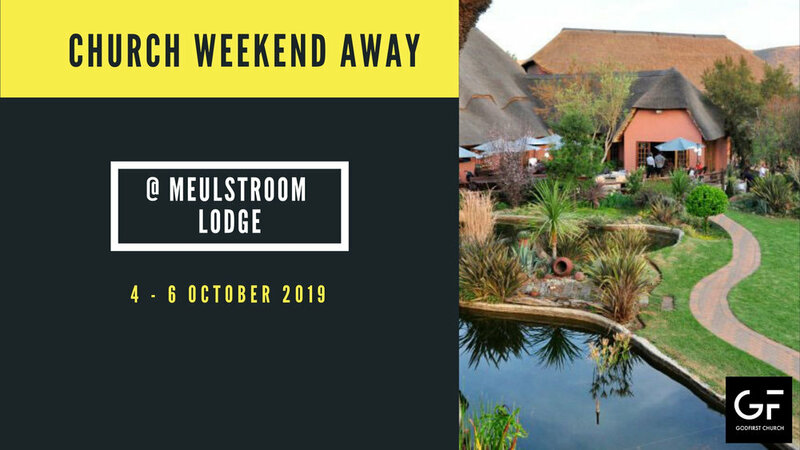 BOOK BOOK BOOKINGS now open. Gather your team and their smarts and join other competitive teams for a night of competition and smarts with loads of fun. Great PRIZES will be up for grabs. Cost for a table of 8 is only R450. As always, the evening is a Branyard style event so bring your own picnic basket and drinks. The course is based on John Paul Jackson's "The Art of Hearing God"
The Art of Hearing God is an introductory yet profound course that will give you step-by-step instructions and practical tools to learn to hear the voice of the Lord clearly and consistently. You will gain a delineated awareness of hearing that allows you to discover how or why you sometimes miss God. You will learn how to distinguish God’s voice from your own, recognize some seldom-understood ways the enemy limits your hearing even when God is shouting your instructions, and train you to recognize hindrances that prevent you from hearing Him. Registration closes on the 31st August 2018. As prayer as one of our expression of our values, we love to pray together corporately. 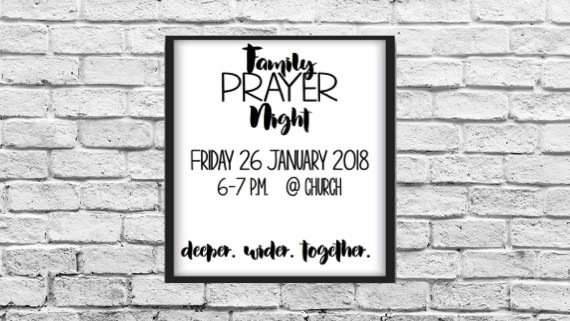 Please join us for a night of prayer as we continue to pray for our church, our city and our country. Our Alpha starts on the 15th May. Please start thinking about the friends, family, or colleagues you would like to invite to this event. Prayer is a great privilege that keeps us peaceful, powerful and effective as a church. Prayer is key to us staying in tune with God's agenda for us in the city. Our priority on evenings like these is to worship Jesus and to tune into the things he would have pay attention to. Do come along it will start at 730 an be done by 9pm. " The Annual Zoo Lake Carols by Candlelight will take place at Zoo Lake on Wednesday 6th December 2017. Time 6pm-8pm.. We are very happy to announce that Mi Casa will be joining us this year. Bring a picnic nasket, blanket, as well as family and friends. "Parenting young kids in a God-Centered home"
It will be some teaching from us and also Q&A, with a focus on discipling and discipline. 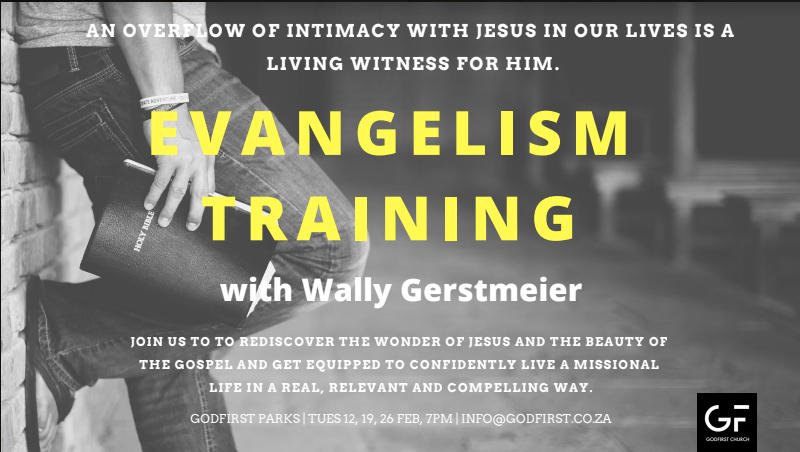 email info@godfirst.co.za for more information. Ref: "Name & Weekend Away"
Ryan Schnell - a Coverage Banker at Rand Merchant Bank (RMB) and has worked for leading banks around the world, now focussing on the non-bank financial institutions sector. Ryan will speak to the world of banking, where egos, greed and money often take centre stage and the challenges of approaching work life in a Godly manner. Michelle Caldeira of Blue Moon Corporate Communications, who will discuss her journey in Marketing & Communication, and her insights on effective employee engagement using creative communication methodologies. They will share their business expertise, including key learnings from a Christian perspective within the business arena, and taking questions from the audience. Thereafter, there will be facilitated group sessions where the intention is to gain insight on the needs of those business leaders present, and how best we can serve you. In the coming sessions, we will be featuring other business leaders within the church, so that you gain a sense of who is involved in which industry, or has a specific interest / expertise, in case you ever wish to be in touch with them for insight or advice. "We believe that the biblical basis for baptism is that it is only for those who have already responded in faith to Jesus. Baptism does not save us, but it is a powerful sign and declaration of saving faith. Babies cannot believe. Non-believers cannot believe! Baptism is for those who make a believable profession of faith." If you have not been baptizedbut have questions or fears, then please join us on the 10th September after the service to ask your questions about baptism or email the office at info@godfirst.co.za for more information. Marriage is tough, but beautiful and there are many couples going through the same challenge even though we might feel utterly alone. 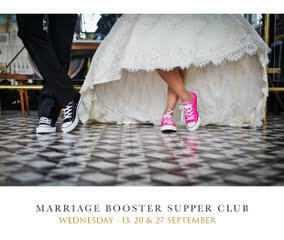 Come join Petrus and Zenia for only 3 weeks for dinner, deeper community and a Vitamin B12 injection into our marriages. Do join us on Monday 31st for a time of prayer and praise. We are running a course based on a book called Recovering Redemption by Matt Chandler. This will include teaching, group discussions and personal ministry. We hope that this course will help get to the root of brokenness and destructive patterns of behaviour in our lives. The goal is that we help one another re-orientate our lives around the gospel of Jesus Christ. Space is limited so if you are interested in finding out more please contact the office or chat to your life group leaders. 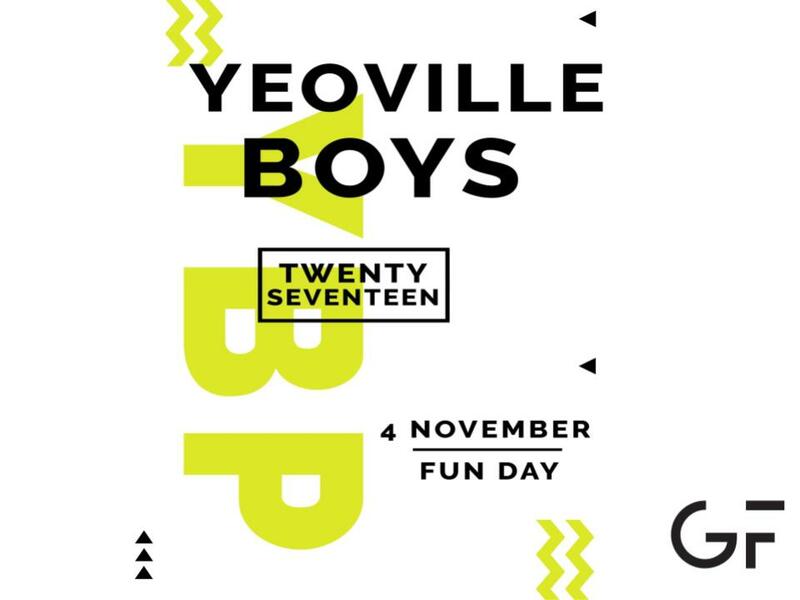 The cost will be R900 per person and sponsorship will be available - this includes a manual and the weekend away. Come and experience the incredible love and grace of Jesus this Good Friday – 14 April 2017. Ever thought “there must be more to this”? Or wondered about your true identity and purpose? Come and journey with Peter, as he discovered all this and more in Jesus Christ. Peter, an average flawed man, became the embodiment of the promise that “Christ is the hope and glory in us”. Bring the family and come and experience Easter! Engage is an opportunity for the women of GodFirst to engage with God’s word and engage with each other. It is held over four evening, two in March and two in April and this time we will be taking a closer look at Genesis 1-3. We will have a time of teaching and a time of discussion groups. We hope that this is a time where we can dig into the scriptures together and also help each other grow in our understanding of how to approach and read scripture. Please join us as we trust God to help us understand more of himself through Genesis 1-3. This is a fabulous life changing opportunity for anyone with questions about Christianity to come and enjoy some relaxed time digging into the deeper meaning of life. Please join us for this brilliant 8 week course.. Please invite all friends, family, colleagues and acquaintances. Please pray for the evenings. In obedience to scripture we baptize people in water when they make a choice to follow Christ. These events are always a great celebration of Christ’s rescuing work. 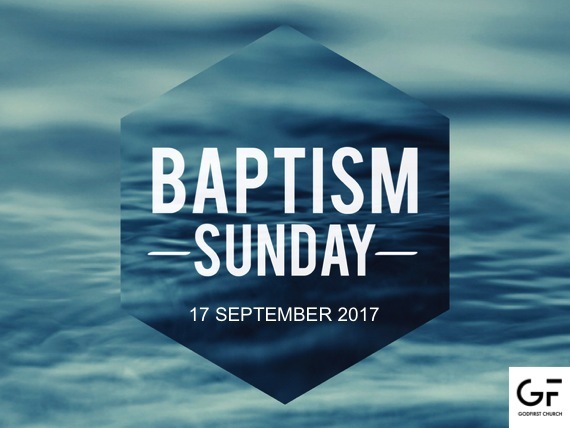 It is a great opportunity to bring your mates along and if you want to be baptised as a believer then do speak to the office. We will be having an information session prior to the baptism taking place so that all those wanting to be baptized have been prepared, had their questions answered and can do so in good conscience.